There are so many mixed messages about food, it can sometimes be hard to separate the good advice from the bad. But what if you could get to people at their critical learning stages, to teach them about how food really is, well, good? From talking to Deborah Homshaw, managing director of CH&CO Independent, this is exactly what the catering company is doing at schools across the country. I met her at Fulham School, a school with 700 children across its three stages, to discuss the complex topic further. It was this passion and knowledge that stuck out to Fulham School, as business manager Jane Knott told me: “We went through a very rigorous re-tender process at the end of last year. It was a slightly unusual situation in that Brookwood, the incumbent caterer, had recently become CH&CO Independent. Deborah came to visit us to explain the transition they were in, and they had this assertiveness and hunger for the contract. The children even got involved in the re-tender process as they are the ultimate end user, sampling food from the shortlisted caterers and talking to the teams. “The children found it a really enjoyable experience and liked being part of the decision-making process,” says Knott. The relationship between Fulham School and CH&CO Independent is a two-way street, with shared goals in mind. Homshaw comments on CH&CO Independent’s partnership with the school: “It’s very open, honest and energised. With a plethora of different diets and allergies nowadays, is it really possible to create a menu that pleases every child, and teacher? “Even if you don’t consider any diets or any allergies, I would say one menu will never fit everyone,” explains Homshaw. “It is a challenge because the list is growing, but it’s an interesting challenge. We work very much as an inclusive menu because we don’t want to single children out. There are some very extreme allergies and requirements, in which case Amanda Ursell, our consultant nutritionist, will talk to the parents. She is central to what we do. It sometimes also involves the school nurse for rare conditions. This training allows the chefs to create innovative dishes that allow all children to feel welcome at the dining table. 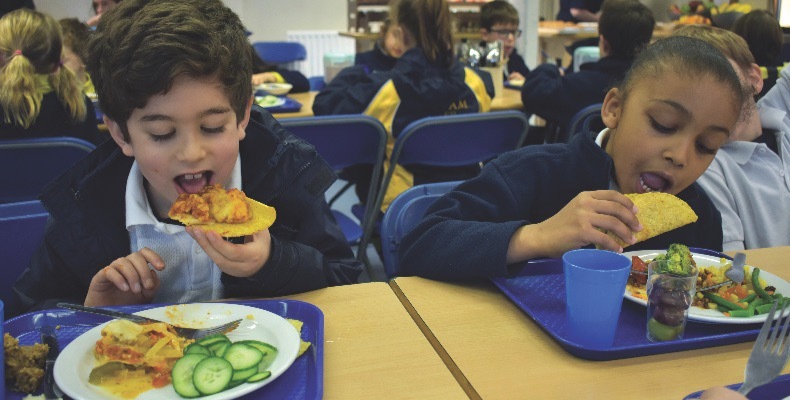 For example, on ‘fish Friday’, a classic across the UK, Fulham School offered another option alongside traditional fish and chips in the form of breaded banana blossom. Some of the items alongside this were beetroot and kale polenta chips, sweet potato chips, Cajun cauliflower, courgetti, as well as a salad bar with a huge range for every taste. The menus are constantly evolving, and regular parent feedback sessions with CH&CO Independent ensure the students are happy. 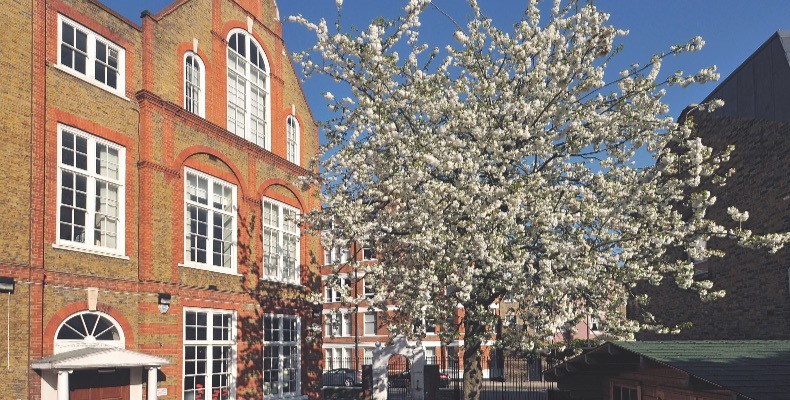 The school is looking to make some significant changes over the next few years, as Fulham’s Pre-Prep school site currently does not have its own kitchen, with meals transported there from the prep school each day. A new kitchen and dining room will be installed ready for September. The senior school has also just had a new site completed, which will be moved into in the next academic year, where CH&CO Independent will work with the team to build an appropriate food offering for the older students (a street-food theme has been discussed). At the prep school, there are also plans to refurbish the kitchen to add more seating, enhance the workflow and even introduce cooking clubs for the children. A sustainability piece will also be incorporated at the food waste station, to help children understand more about the impact on the environment. With food just one part of the school day, it is encouraging to see Fulham School putting so much effort into making it the best it can be. Knott says: “We are committed to getting this right. I’d like Fulham to be the jewel in the crown of CH&CO Independent when they’re talking about a site. We’re not there yet but there’s a lot of energy and commitment behind making it right.